Nepali Armed Police Force officers work to keep CPN-UML affiliated Youth Association Nepal members from blocking a presidential convoy leaving Tribhuvan University. The Boudhanath Temple in Katmandu is one of Buddhism's most valued sites. Birds are given seed daily by the monks on site that care for the temple. It was made into a UNESCO World Heritage site in 1979, and remains one the capital's most sought after destinations for tourists. Villagers walk miles for the gathering of Nepal's annual rice festival. The festival is celebrated amongst villages outside of Kathmandu before the farming season begins and monsoons arrive. Motorcycles are the preferred mode of transportation in Nepal. They are fast, cheap to maintain, and they can handle the rough and potholed roadways throughout the country. Building projects, improved roadways, and more reliable power went underway in 2013 for Kathmandu. Though listed as number 27 of Foreign Policy's failed state index last year, the capital city has become much more organized politically and geographically since the report. Fishing boats await for an oncoming storm which are frequent during Nepal's monsoon season. 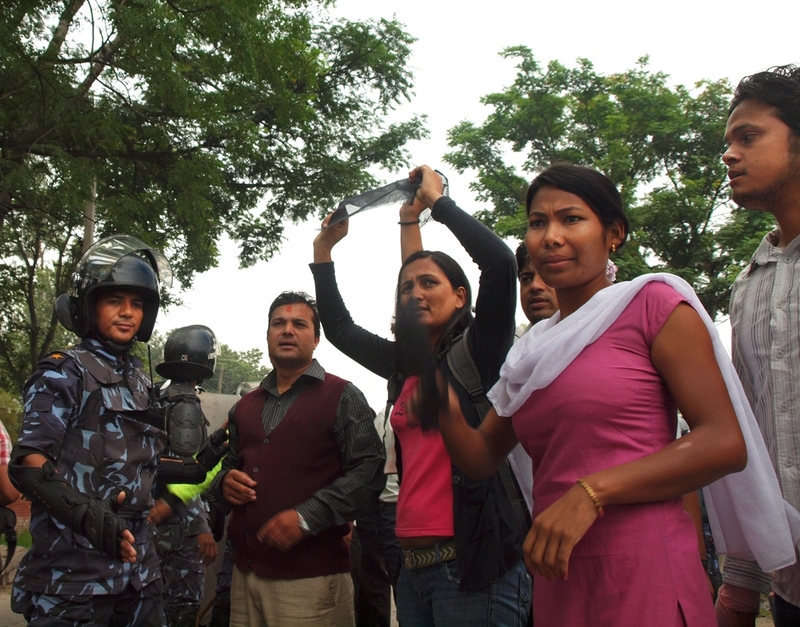 An officer of Nepal's armed police force looks onto a crowd of college students protesting for agricultural reform. Protests for government change is a common occurrence in Nepal, and they begin to die down toward the beginning of monsoon season. A young man in Kathmandu earns his income by shouting the destinations of the bus he works on. The transit system in Nepal operates by local knowledge, and without his role, passengers are guaranteed to end up at the wrong location. Women in the Nepali Countryside gather to for the annual rice festival in the next village. Nepalis celebrate the festival before the farming season beings each year. 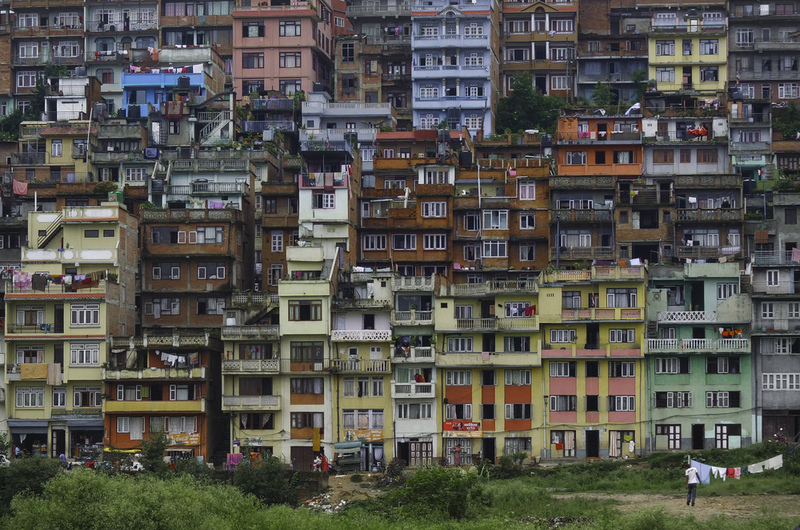 Taxi drivers line every street of Kathmandu, making it possible to live in Nepal's capital without a car. Drivers often struggle to meet the financial needs of their families, and sometimes work 24 hour shifts to make ends meet. Boys gather together for the annual Rice Festival outside the busy streets of Kathmandu. Nepali crowd control officers worked to keep CPN-UML affiliated Youth Association Nepal members from blocking a presidential convoy due to leave Tribhuvan University. Young school girls join other Nepalis in a mud fight for the annual rice festival. The festival is celebrated before the farming season begins, and children leave their schools early to take part in the fun. In Kathmandu, smoking in public is an offense ticketed by police. The ban on public smoking began in 2012, and crackdowns are more aggressive than ever before. 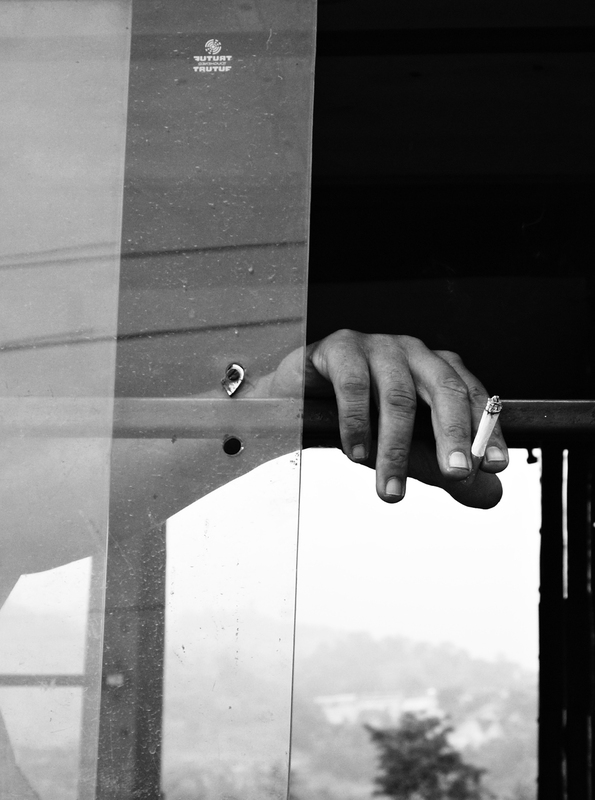 The smoker pictured hides his face while traveling on a bus in Nepal's capital. 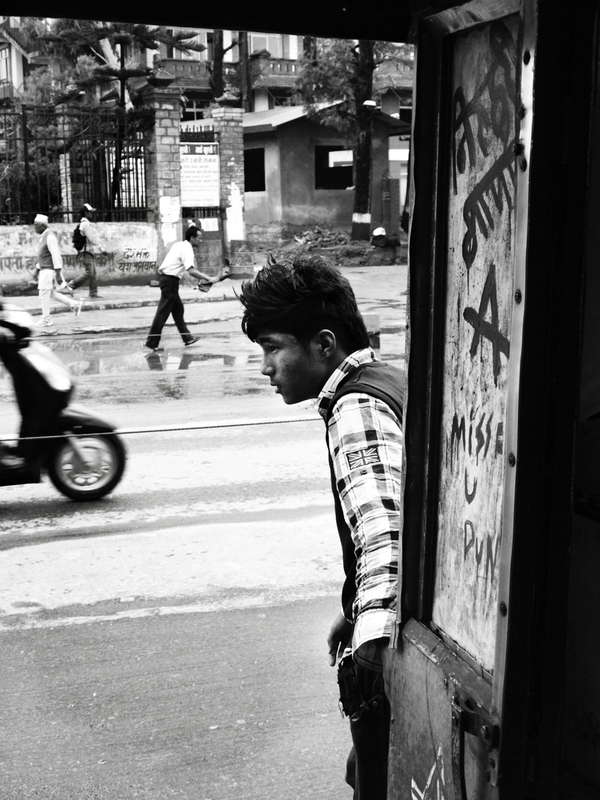 A man waits for friends along the busy streets of Kalanki in Southern Kathmandu. 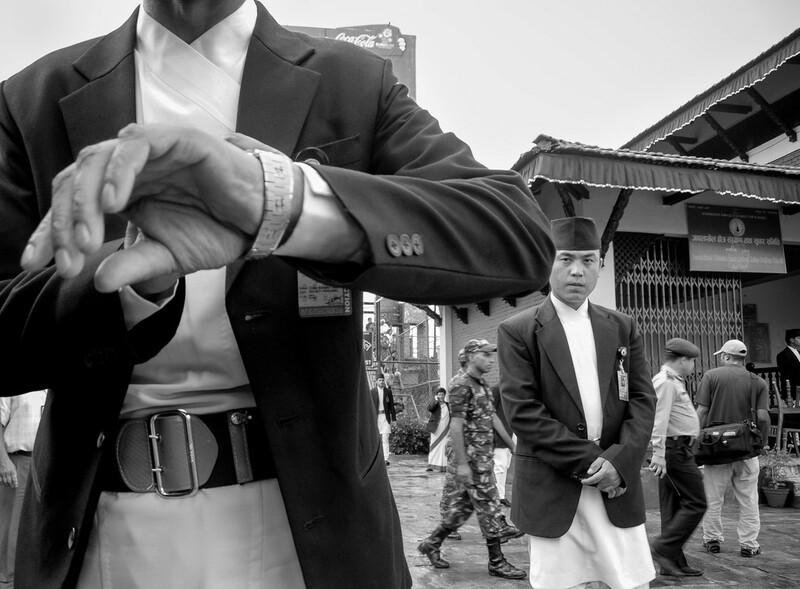 Nepali Secret Service agents requested for photographers to leave the area as President Ram Baran Yadev arrived for a speech in central Kathmandu. Young village girls enjoy an early school dismissal to celebrate the annual Rice Festival with their friends and neighbors. Nepalis celebrate the festival at the start of every harvest before monsoon season. 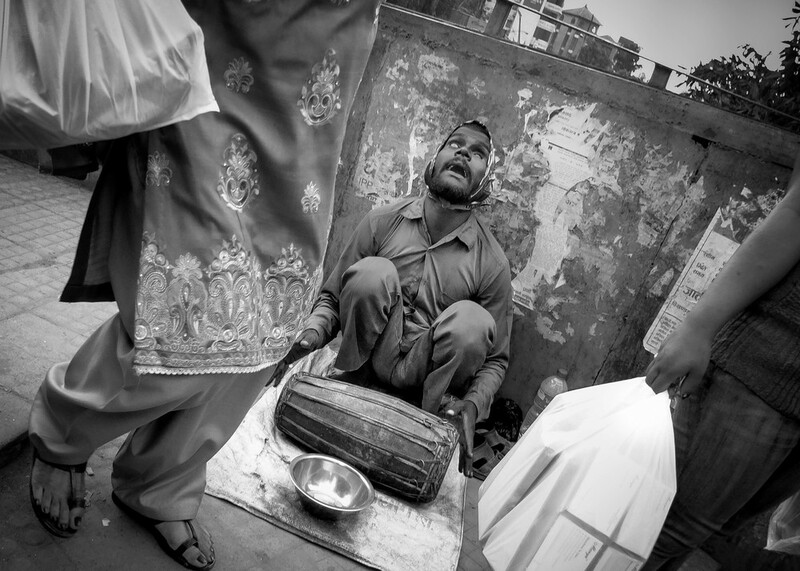 A disabled man in Thamel plays music for donations in a busy shopping area. Many Nepalis are struggling financially, as the small country depends highly on agriculture and tourism.